Evidence is mounting (really, has already mounted) that lead bullets contaminate the carcasses of animals shot with them. I'm not discussing bird shot, but bullets used from rifles on terrestrial animals. Research shows that microscopic fragments tear free from the bullet and are found over a large portion of the carcass (i.e., they are not just restricted to the bullet wound). These fragments, which can number in the hundreds, are being passed on to the consumers when they eat the meat and are exposing them to a very toxic metal. It's time for awareness and a change. The entire blog article is available at the link below (and there is nothing to buy, no tracking, no selling your information, it is merely where I post my blogs). Many people have read the dire warnings about the health consequences of consuming fish and shellfish. These admonishments usually center on mercury contamination—most of which is produced by coal-fired facilities, chlorine production, and mining—which is converted to an organic form of mercury (methylmercury) by the action of various aquatic micro-organisms. 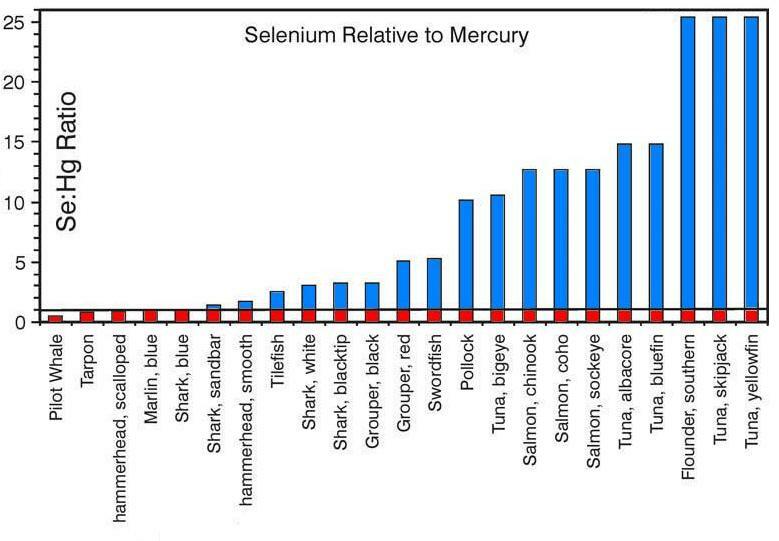 This organic form of mercury comes to be located in marine animals and bioaccumulates as one ascends the trophic ladder as progressively larger animals consume smaller ones. Mercury is a real threat because it is linked to cognitive impacts in children (e.g., loss of IQ points, problems with attention, decreased memory function) and various health effects in adults (e.g., cardiovascular disease, autoimmune disease). People are frequently told (through various media) to limit fish consumption to prevent mercury poisoning. I lecture on wild food frequently, discussing various issues that concern this subject to a wide variety of people. For years, the information was received with interest and people appreciated learning about this part of our collective human history and what wild food can mean for human and ecosystem health. In the last year or so, there has been an increasing number of criticisms about the message of wild food. While these arguments center on important social issues, they are representative of a broader narrative that has become very pervasive and sometimes applied to topics that may not be core to the subject of privilege and power. Rewilding is a process for creating humans who can live in a healthful, truly sustainable manner, in close connection with their local landscape (i.e., as part of the wild ecology). It is a trajectory that anyone can follow, regardless of where they live. Hunter-gatherers serve as wonderful models for examining the food habits of humans. 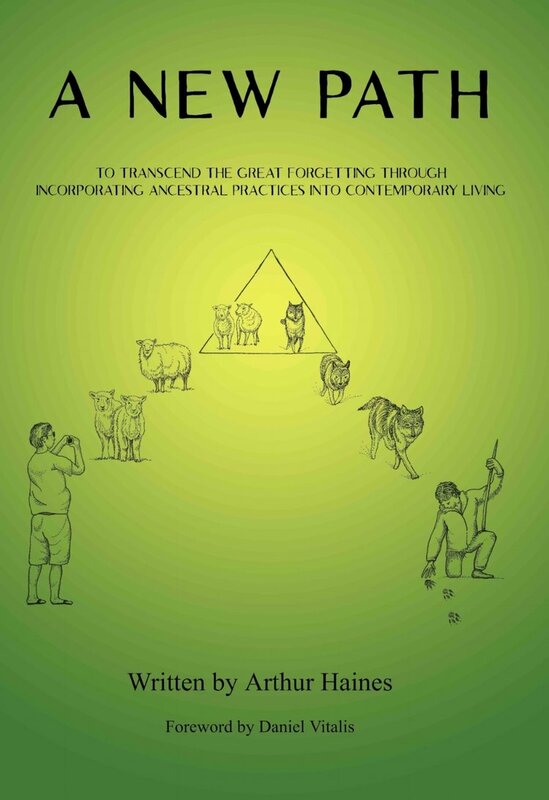 Not only has hunting and gathering been practiced since long before anatomically modern humans appeared, but the people that practiced this method of food acquisition represented some of the healthiest people on the planet (those that were still consuming their traditional diet and had ample space to practice their diet and lifestyle). We have been trained in this country to think of many things as isolated features. Whether it is nutrition, or medicine, or even how we examine ourselves relative to the environment we live in, we are convinced that we can understand complex structures and processes by understanding the individual parts. Venison, called otuhkey (pronounced uh-doo-KAY) by one indigenous group of Maine, is a red meat that presents a different flavor than beef. Some describe it as “gamey”, though I would politely argue it simply tastes different. Autumn is another season of the year when wild food is bountiful (and free for the gathering). Acorns, the fruit of the oak tree, are one of the important foods because they can be preserved (through drying), therefore providing a plant-based staple through the winter. Some people are aware that plastic containers leach endocrine-disrupting compounds into food and water. Given that the term “endocrine-disrupting” is thrown around a lot, it’s important you understand what this means. Mycophobia: is it doing us any good? Our society has a fear of fungi, there is no doubting that. We've been told they can kill us if we ingest the wrong species (which is true). So, we avoid culinary interaction with all wild species because some are poisonous.